Piola is a Piedmontese dialect word for trattoria, but the word also means a place where friends can meet and feel at home. And so it is with La Piola, where a huge blackboard lists the many dishes comprising the day’s menu (which changes often). When the place first opened in 2005, and in the years immediately following, I never ate poorly at La Piola, but I never came away especially impressed. Today, things have completely turned around. La Piola is one of Piedmont’s best everyday trattorias. Chef Denis Panzeri does a really commendable job, and his training in some of Italy’s best restaurants (for example, Miramonti L’Altro in Concesio) clearly shows in the high culinary levels attained by his dishes. 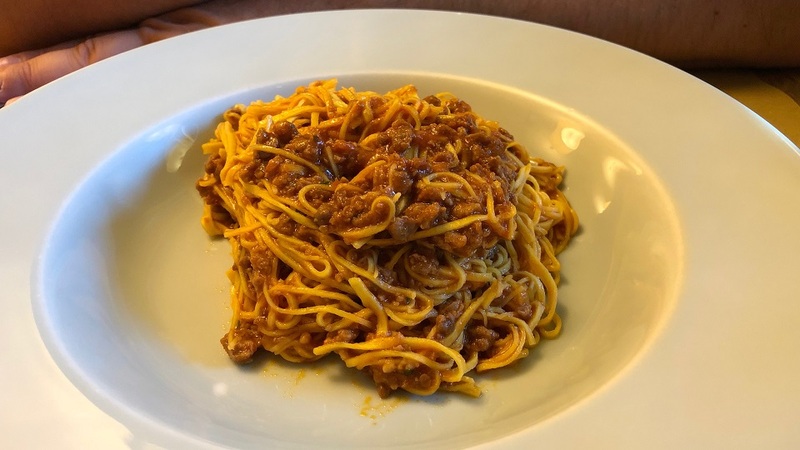 The cuisine here is much superior to most of Piedmont’s trattorias – and keep in mind that Piedmont is one of Italy’s absolute best dining destinations, offering one great restaurant after another. Led by Andrea Canaparo, the dining experience at La Piola is further heightened by the service, which is young, friendly and enthusiastic, but competent. 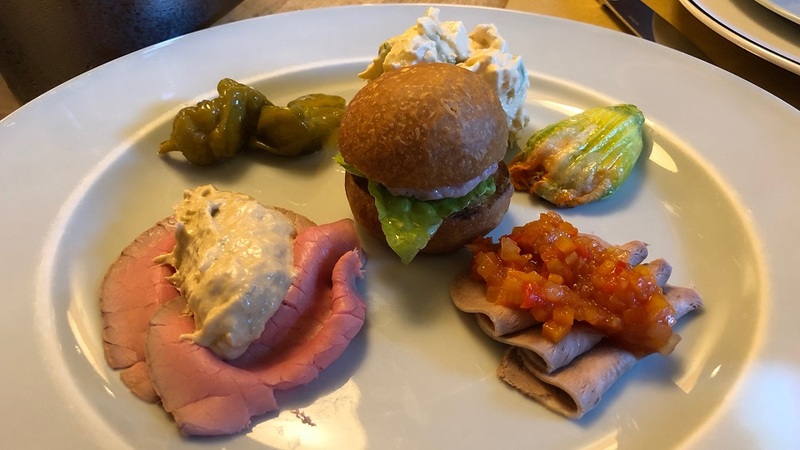 The antipasto piemontese is well made and flavorful, offering sampling sizes of, among other delicacies, tongue (lingua), vitello tonnato and insalata russa. 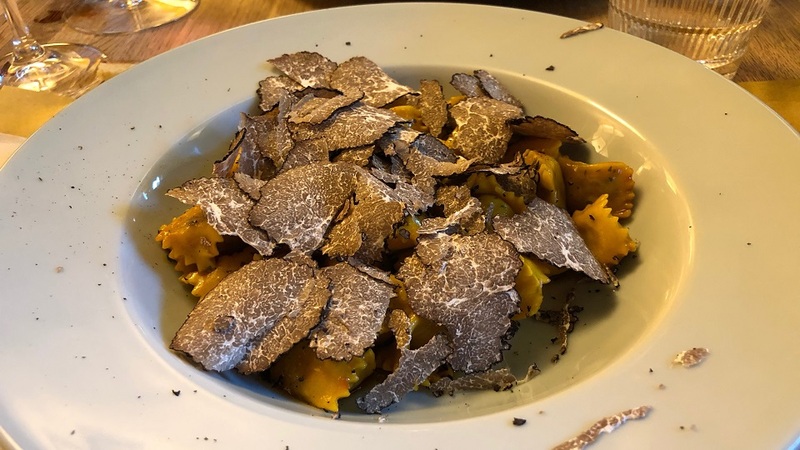 The agnolotti del plin are nicely presented and satisfying to eat, while the version with a snowfall of white truffle is that much more decadent. The tajarin are just the way they should be and the sugo alla salciccia is especially noteworthy. On this night out, I enjoyed a great mix of different wines, beginning with the lovely NV Brut Blanc de Blancs Nominé-Renard, which is fresh and easygoing, with a lovely citrus bite; it’s hard to start off any meal better than with a good Blanc de Blancs. On a completely different note, offering tertiary aromas and flavors galore, is the surprisingly well-drinking 1977 Benedikt Loosen Erben Riesling Spätlese, a testament not just to this underrated producer’s talents but also to just how good wines from competent estates can be even in less-than-stellar vintages (1977 was undoubtedly a poor year in the Mosel). At 40-plus years and counting, this gorgeous Riesling maintains beautiful mineral and lemony freshness and is utterly irresistible. 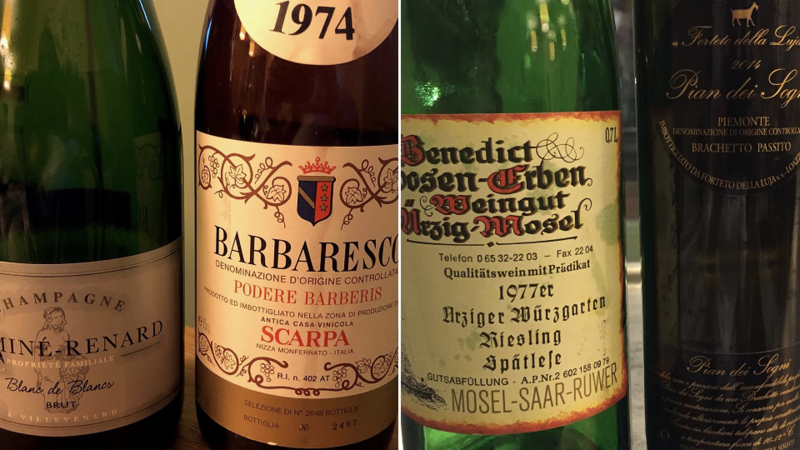 The next wine delivered another 360-degree turn: the 1974 Scarpa Barbaresco Podere Barberis offers a thick, luscious mouthfeel of Nebbiolo fruit, with highly complex flavors of red cherry, tar, licorice and herbs that seem to last forever. My only caveat is that this particular bottle showcased less of the vibrant, perfumed Nebbiolo Rosé fruit that this specific wine is famous for (it was mostly made from Nebbiolo Rosé, but I would not have guessed that by tasting this specific bottle blind). I finished off another great meal at La Piola with the standout 2014 Forteto della Luja Brachetto Passito Pian dei Sogni, undoubtedly the best Brachetto Passito wine made in Italy, magically combining not just sweetness and lusciousness but also grace and refinement, not to mention uncommon depth, length and complexity. 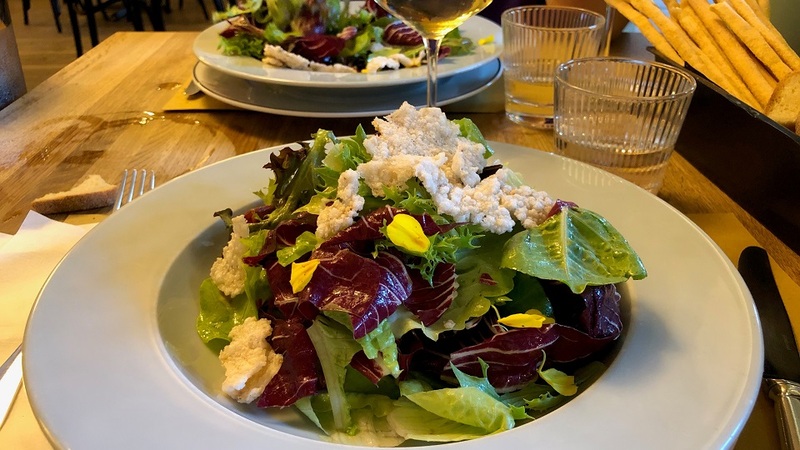 As always, I stepped out of La Piola and into the car waiting to whisk me back to the hotel with a spring in my step, satisfied that I had enjoyed an evening of fine food and wine at very accessible prices.